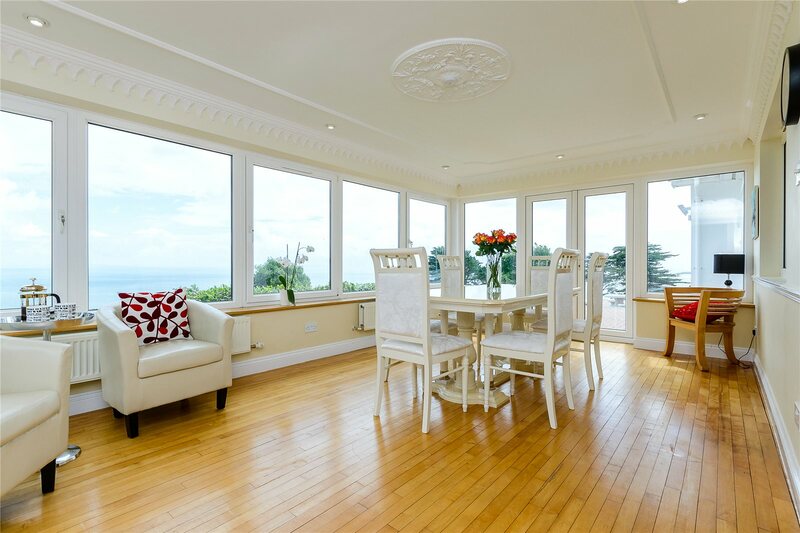 Unique 3 bed home with 2 bed annexe located on the cliff side in tenby, incorporating approx. 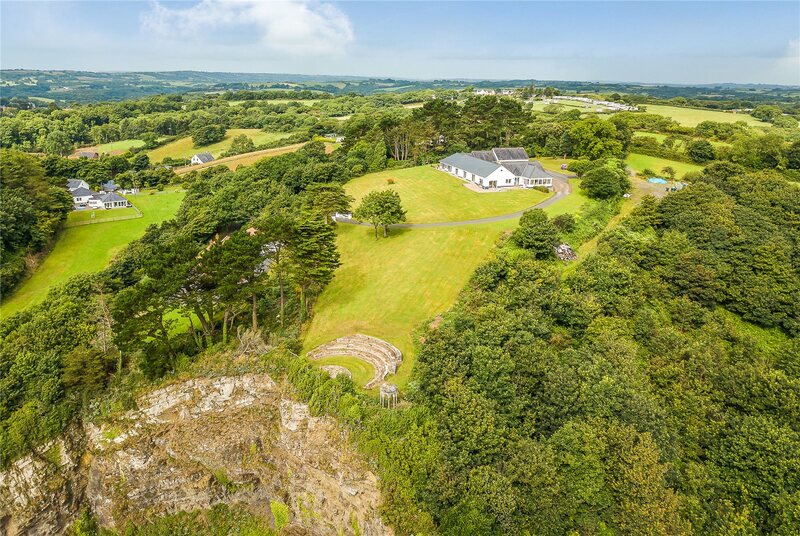 7.5 acres of grounds, gardens, paddock and cliffside land with an amphitheatre…. 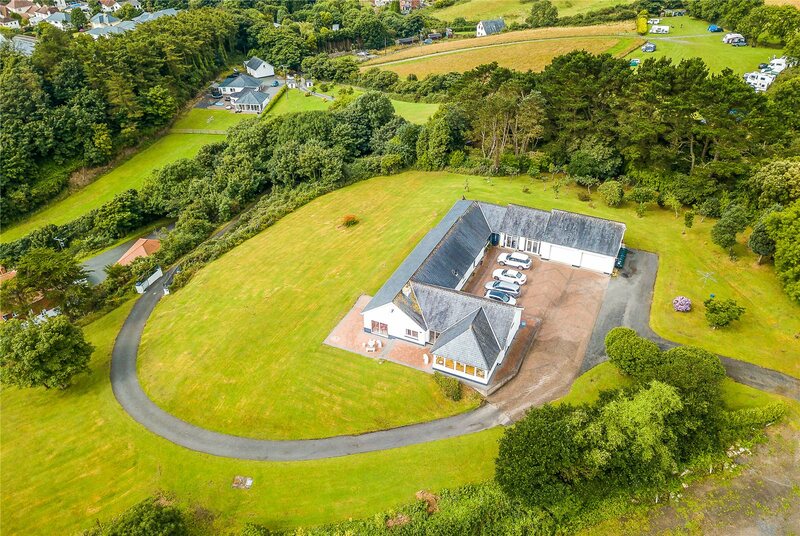 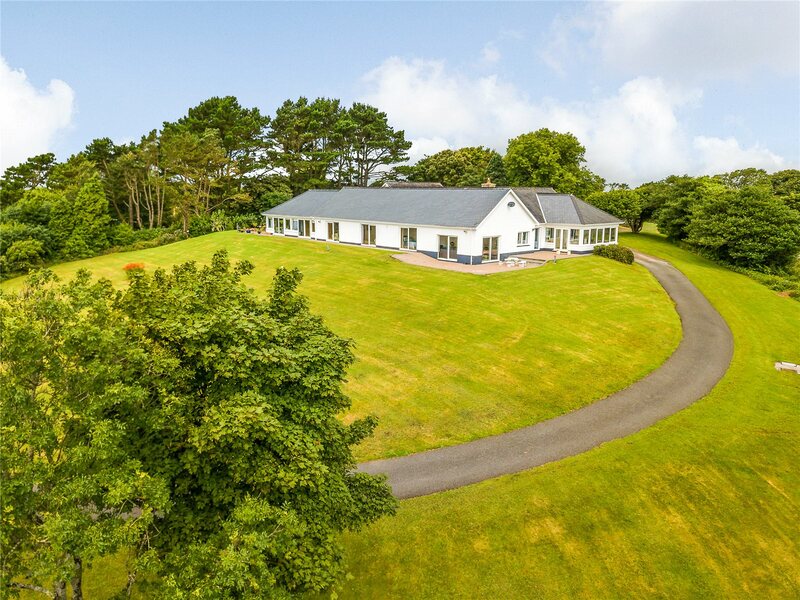 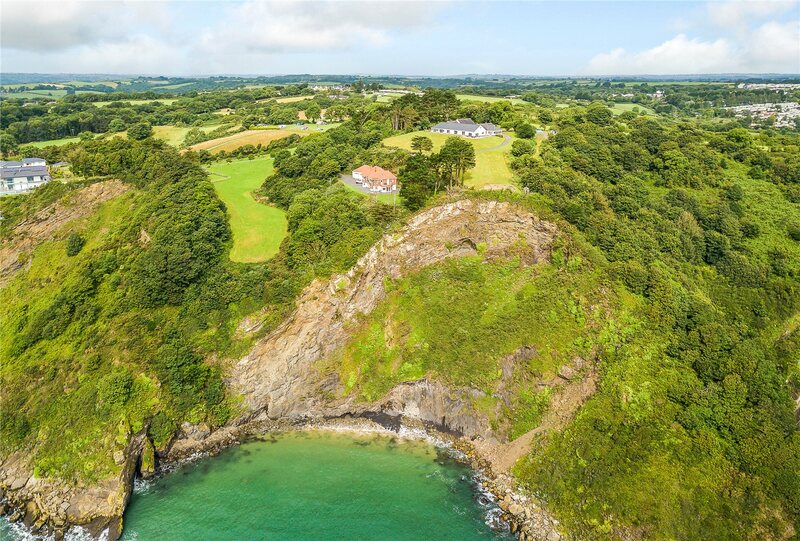 A truly unique opportunity to acquire a one-off property that is as close to the sea as it gets, with plenty of grounds, gardens, privacy and all the home comforts you could wish for. 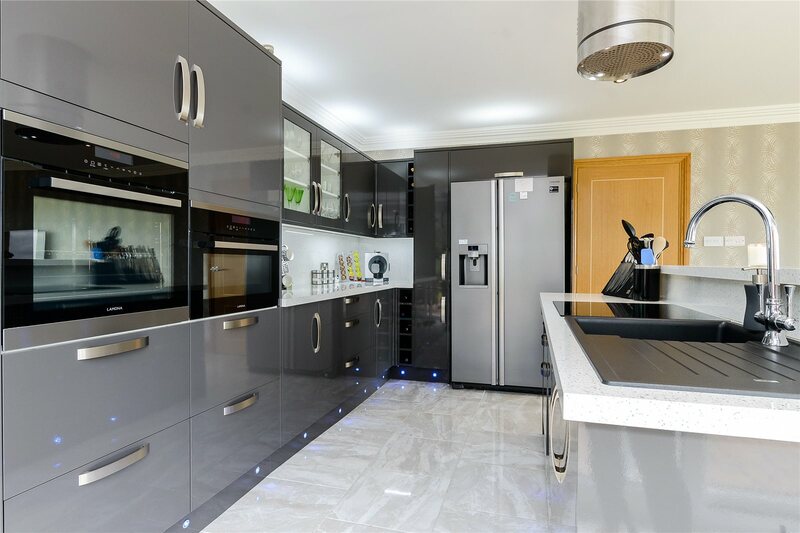 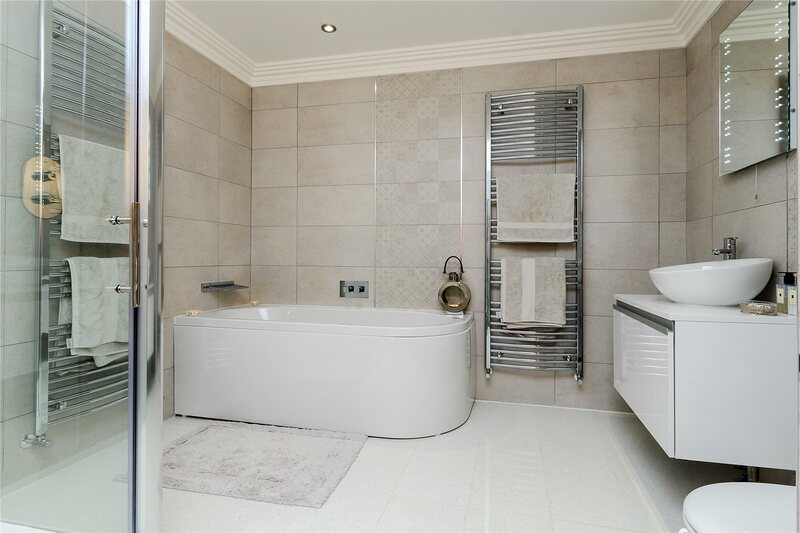 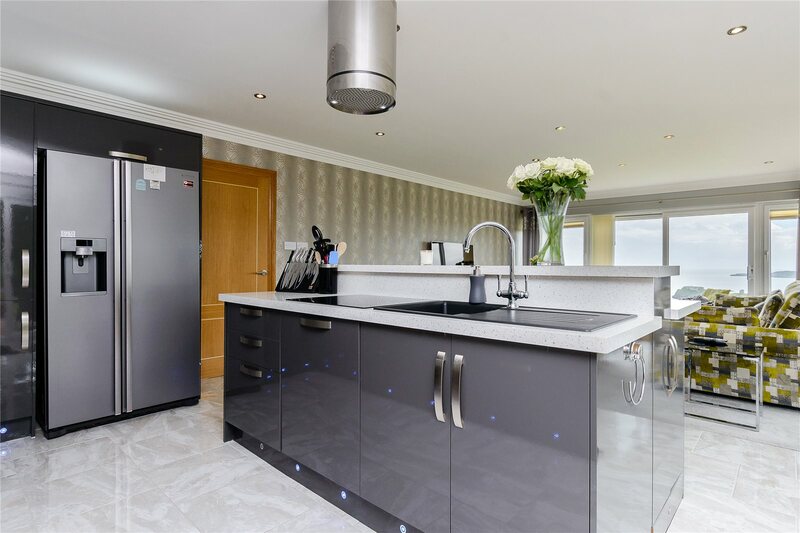 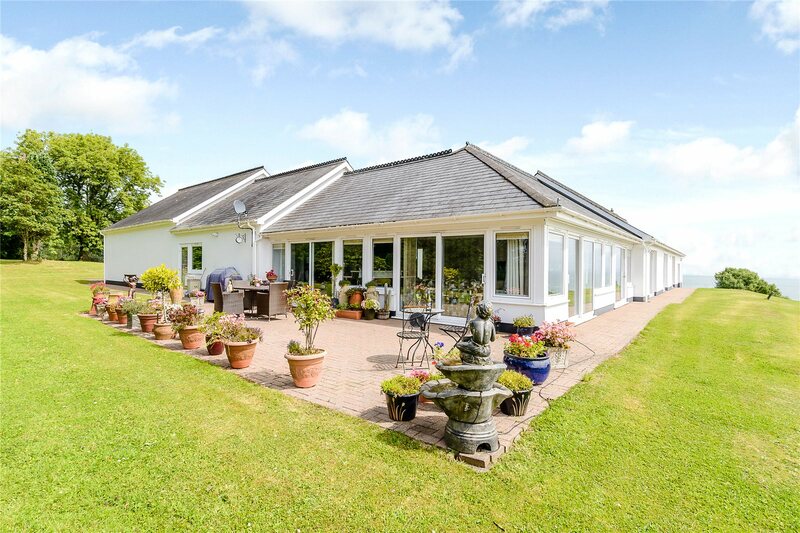 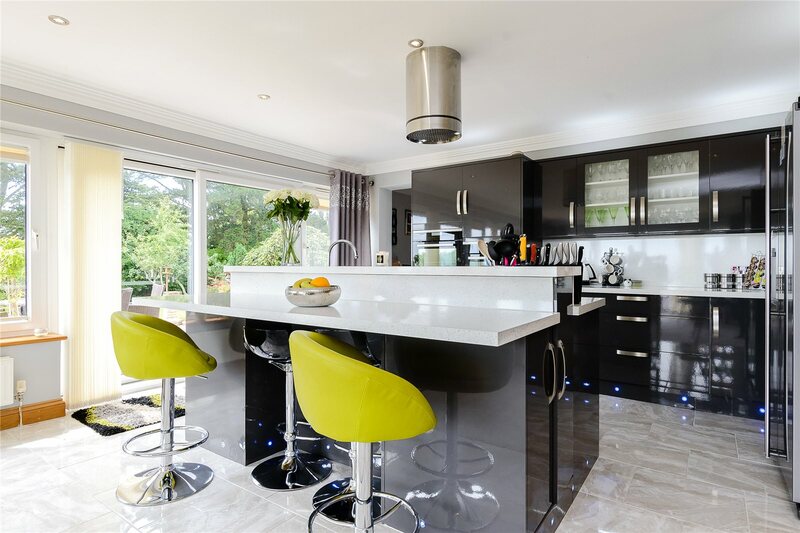 Enjoying a spectacular setting in Northcliffe this exceptional three bedroomed home with two bed annexe is ideal for multi generational living, a family dwelling with guest annexe, lucrative holiday rental location, or could be easily converted to a 5 bedroom house if required. 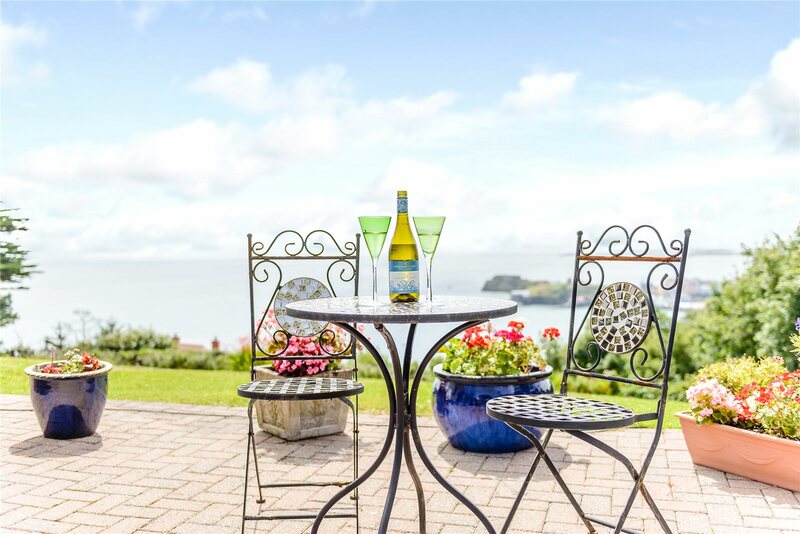 Gaze out to sea enjoying the most spectacular, panoramic views across the waves to Caldey Island, the picturesque harbour and town of Tenby, and watch the many sea faring activities from dawn till dusk, then revel in the glow of truly magnificent Pembrokeshire sunsets – the orange red glow of the late day sun slipping into the endless sea. 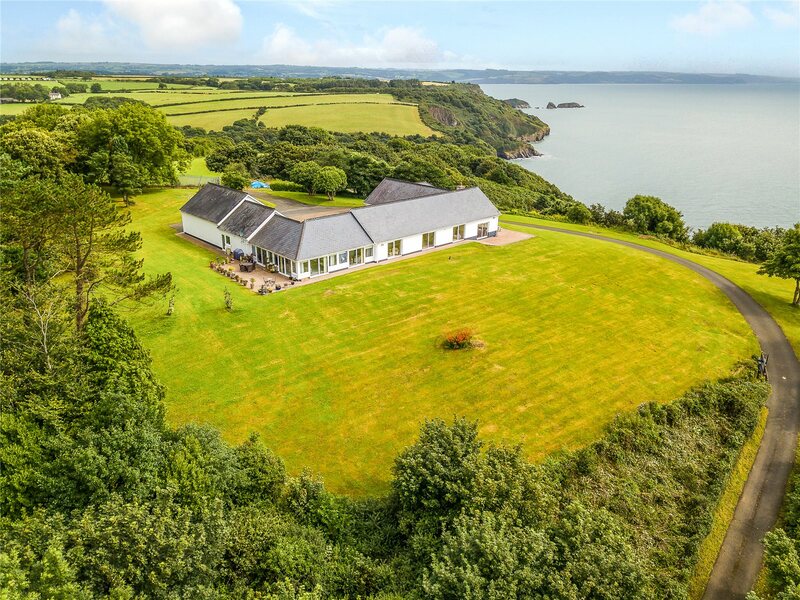 On clear days Carmarthen Bay and the Gower Peninsula can be seen with sightings further to Devon! 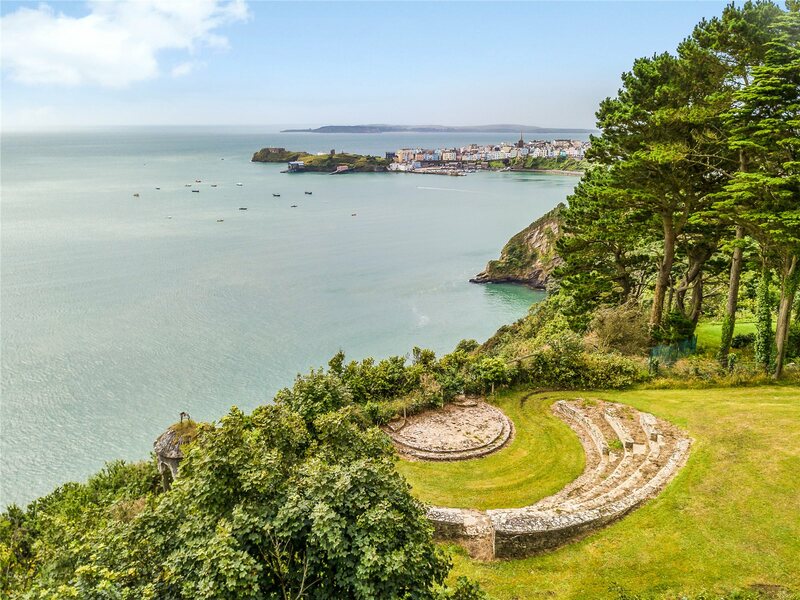 Beautiful Tenby town centre is a comfortable stroll away, where splendid Victorian and Georgian pastel coloured buildings house a plethora of restaurants, cafes, public houses, art galleries, independent shops and boutiques as well as the necessary everyday amenities within the Tudor town walls. 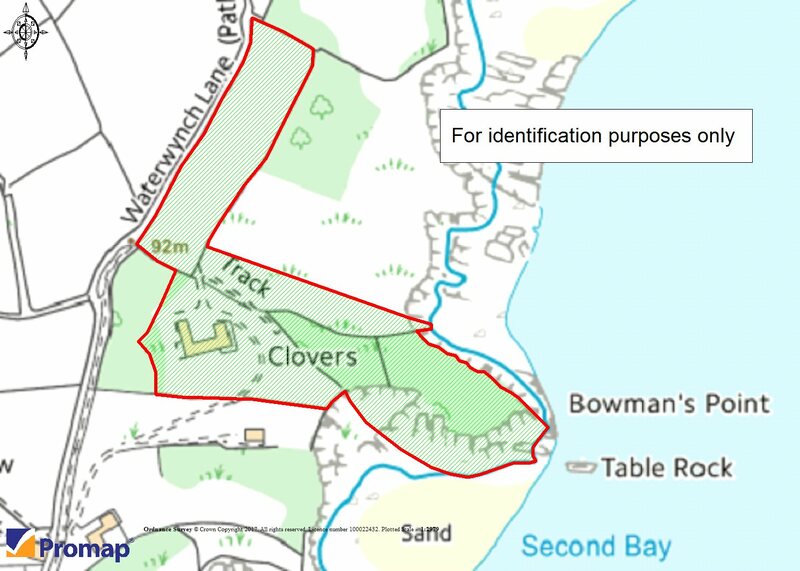 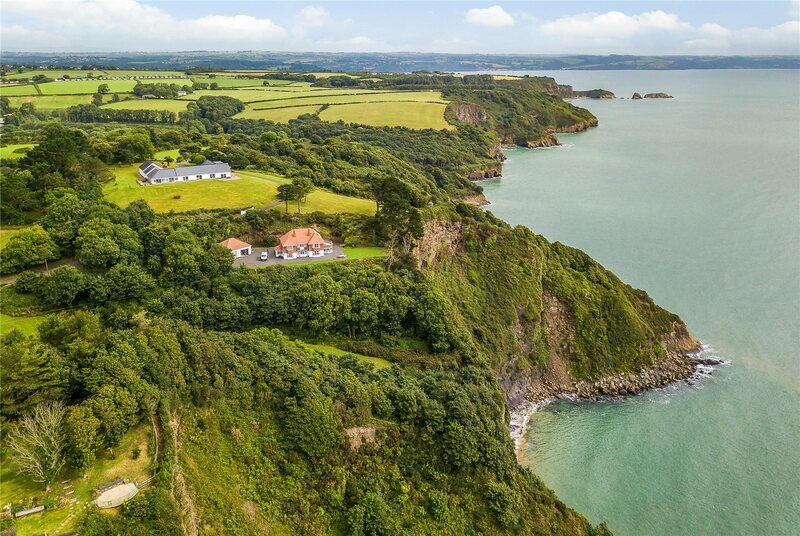 The activity filled, picturesque harbour and miles of unspoilt sandy beaches as well as the famous Pembrokeshire Coastal Path, and the magnificent Pembrokeshire coastline all form part of the National Park, an area of outstanding natural beauty. 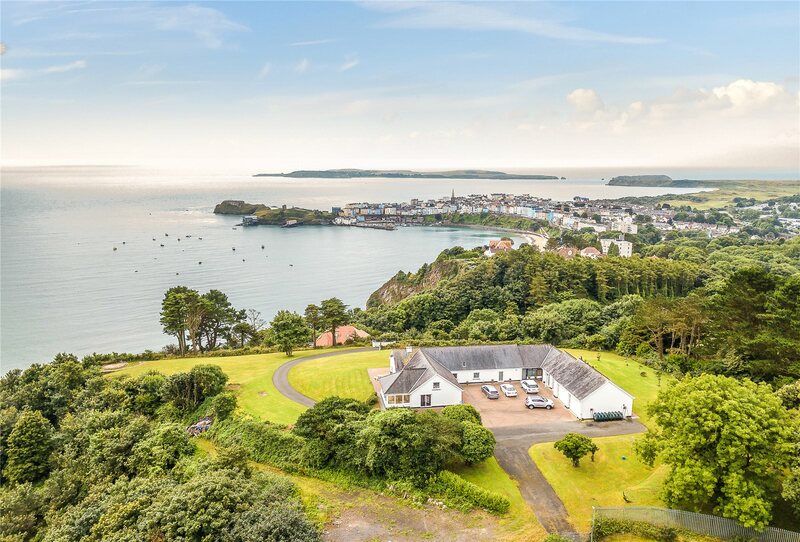 The road and rail network is excellent with easy access to the motorway to Swansea and Cardiff (approx. 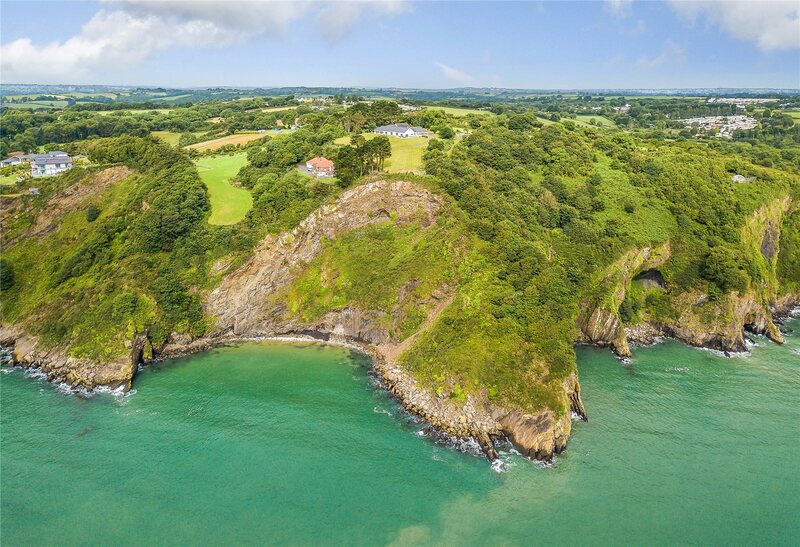 93 miles) and further on the Severn Bridge. 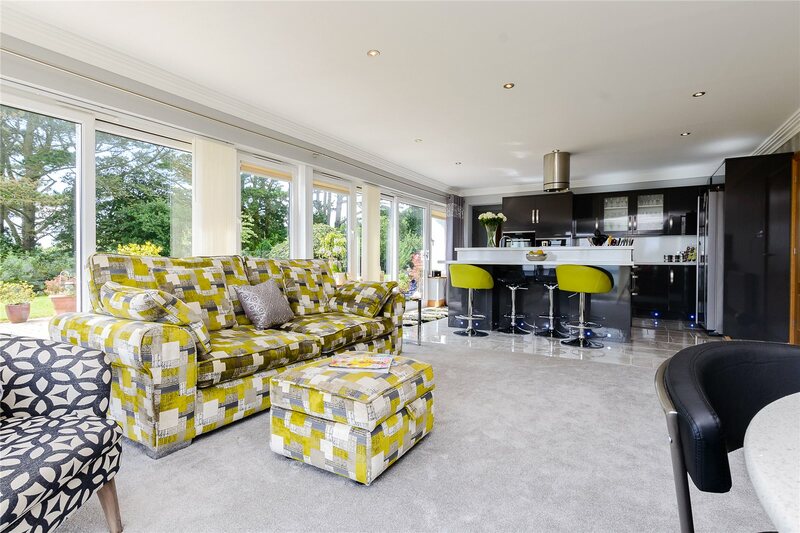 Clovers was built in the 1970’s and extended in 1990 with continuing updating and improvements during the years to both home and garden including the addition of a large garage block. 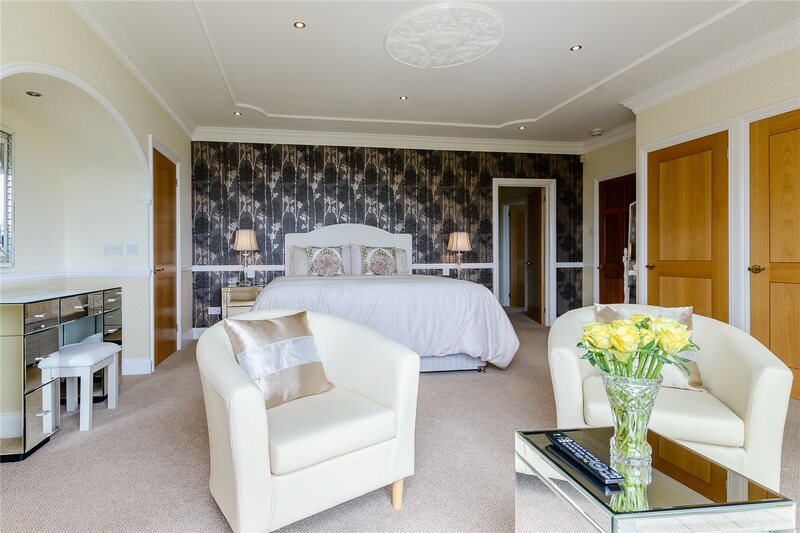 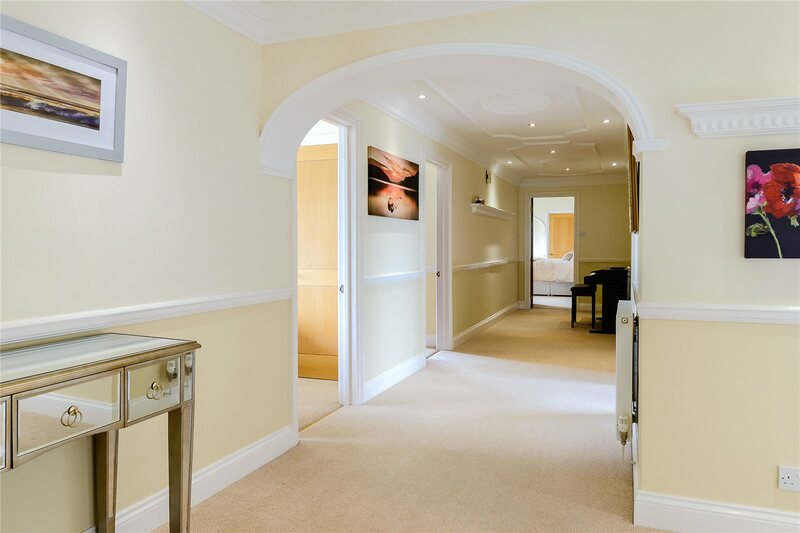 The main house – all on one level, consists of 3 large principal rooms, three large bedrooms (one Ensuite) and a large conservatory. 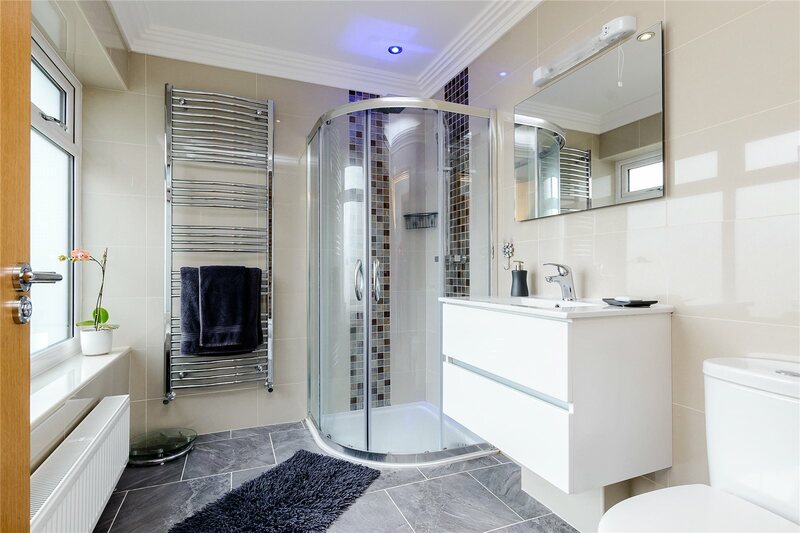 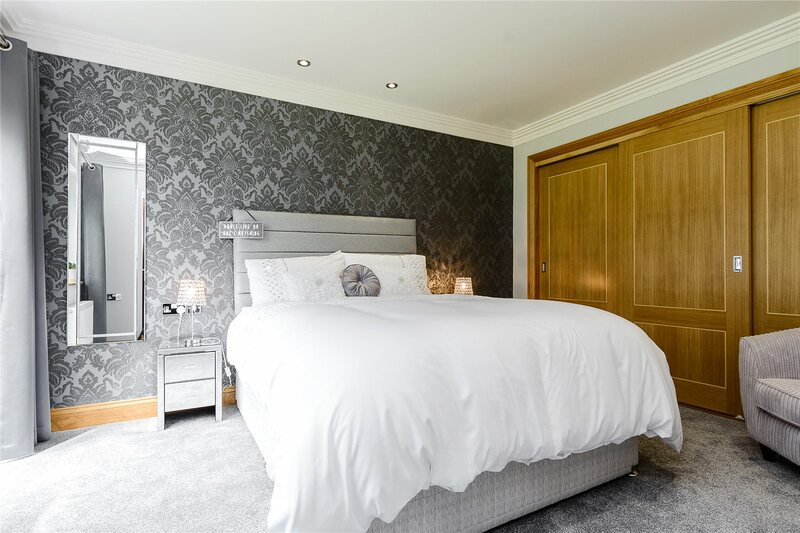 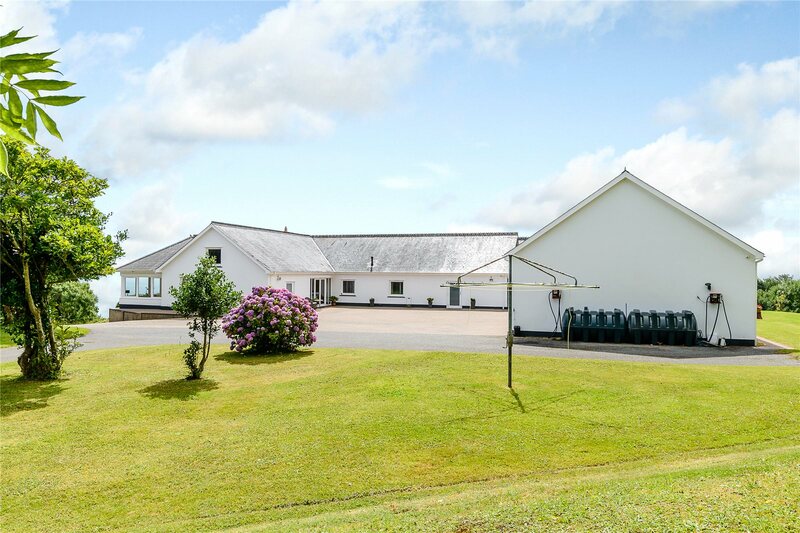 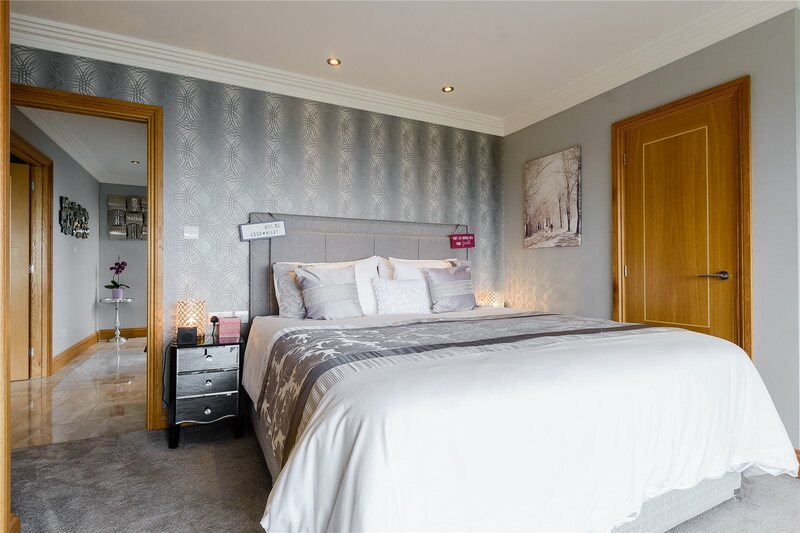 The two bedroom annexe could easily be part of the main dwelling, but is at present a fully modernized and attractively decorated self contained unit. 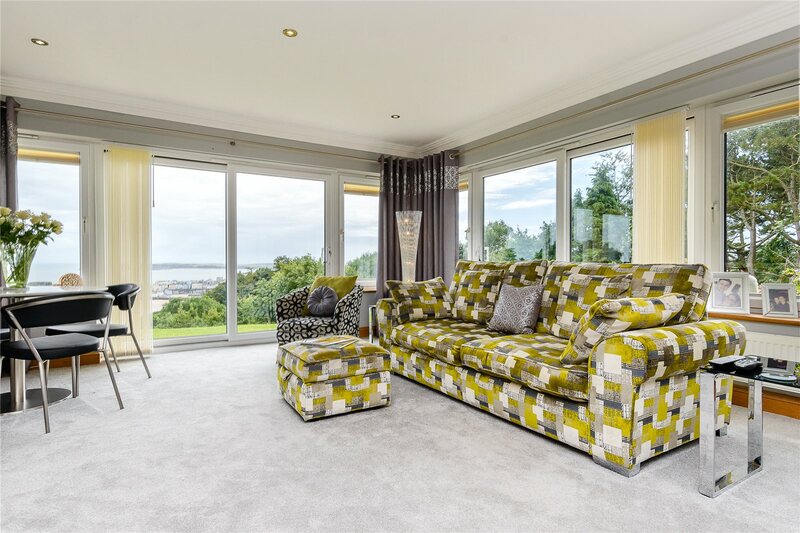 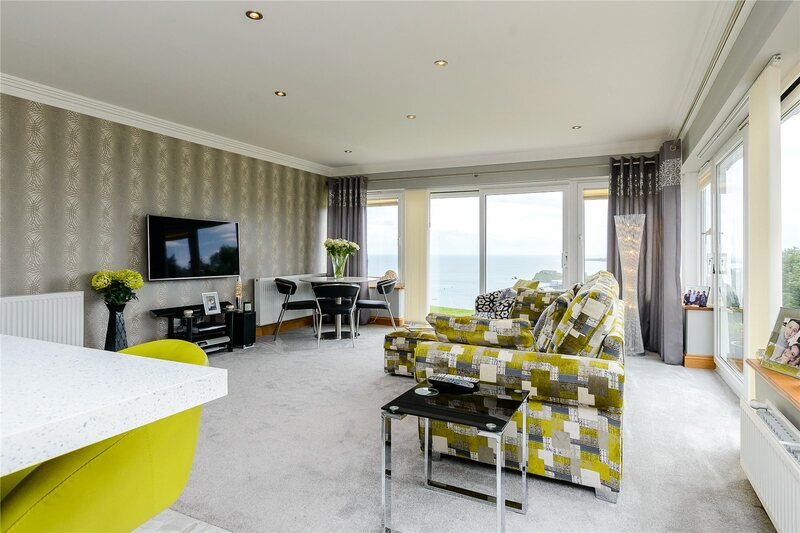 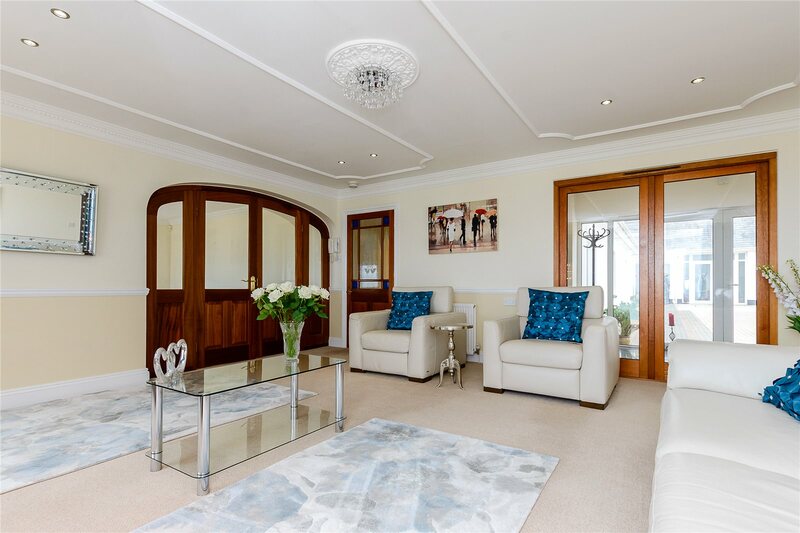 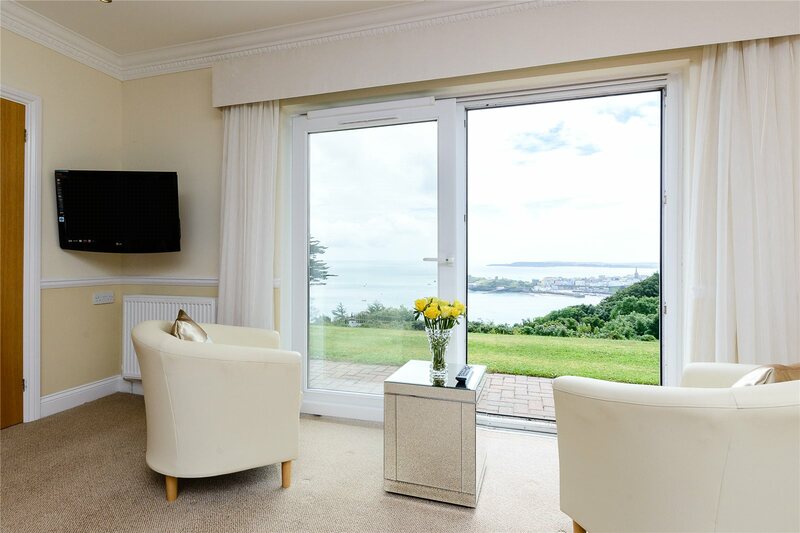 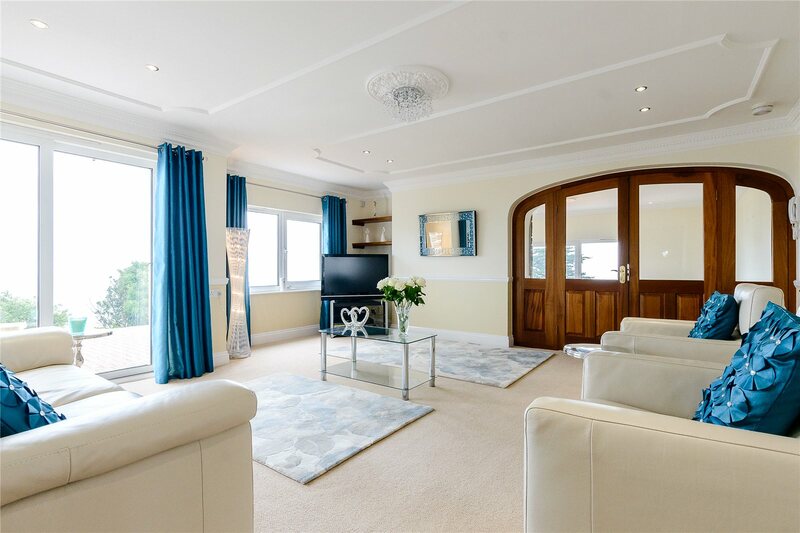 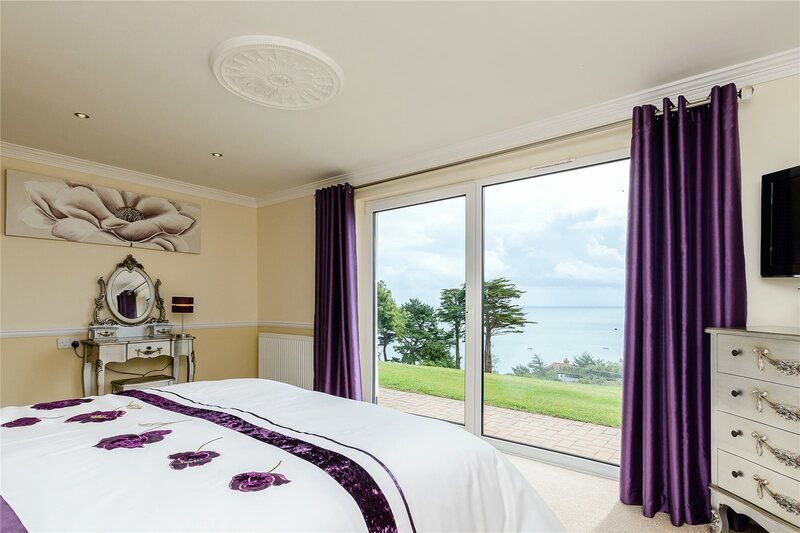 The views from both properties are truly magnificent, the gardens are beautifully landscaped and the location is both unique and stunning featuring a panoramic outlook over Tenby town, harbour, beaches and the wonderful coastline beyond. 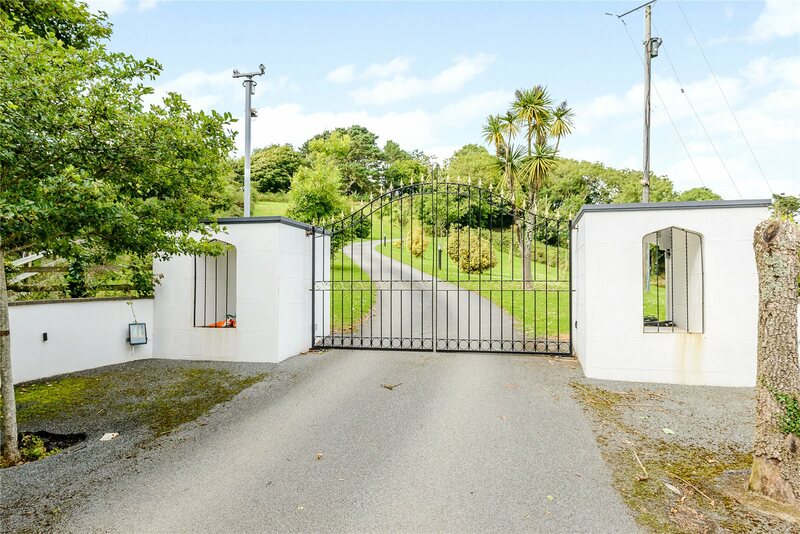 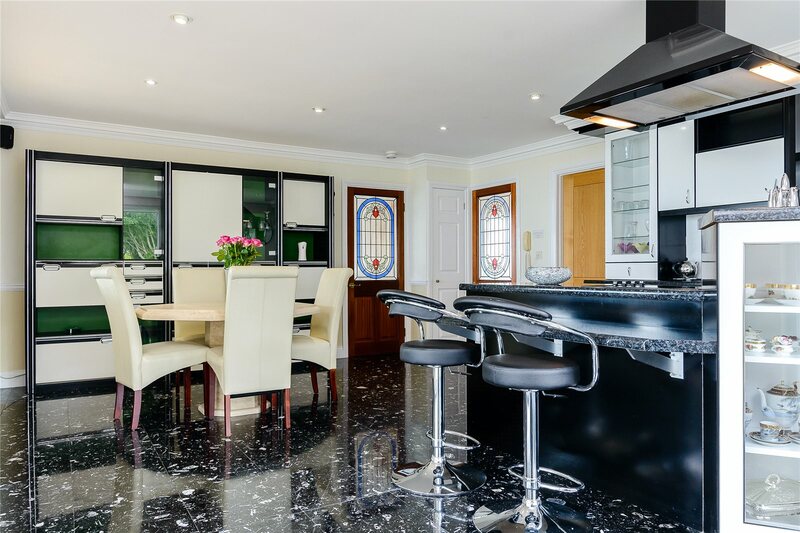 A gated driveway curves up to the property with the lower portion shared with a neighbouring home, continuing to a second set of electronic gates with security system, then up the property where large courtyard of interlocking brick provides ample parking.